The BJP has staked claim with these numbers: 10 BJP MLAs (Pandurang Madkaikar is in hospital and, therefore, not counted as a voting member), three each of the MGP and Goa Forward Party, and three independents. 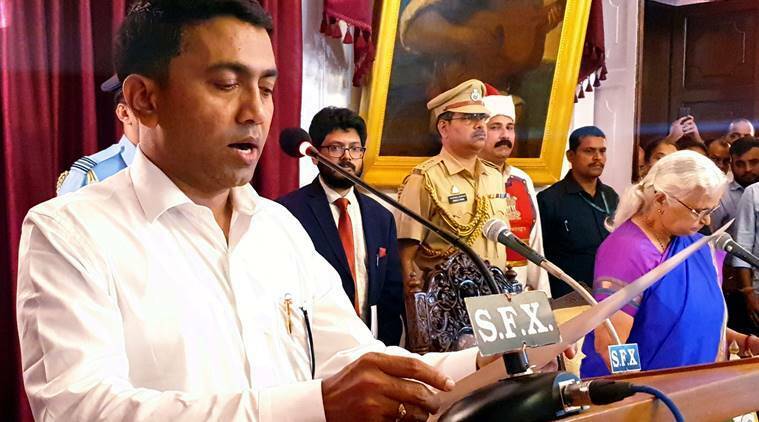 Forty-five-year-old Pramod Sawant, sworn in Chief Minister of Goa past midnight Monday following the death of Manohar Parrikar, will take a floor test in the state assembly Wednesday to prove majority of the BJP-led government he now leads. He has the support of Goa Forward Party’s Vijai Sardesai and Maharashtrawadi Gomantak Party (MGP)’s Sudin Dhavalikar who will be the two Deputy Chief Ministers. “We are going for the floor test tomorrow. There will be no problem. I am 100 per cent confident. The first priority is to take control of the administration. I want to give Goa a good administration. The second priority is to complete all of Manohar Parrikar’s projects which are currently ongoing,” Sawant said. “Parrikar managed it for two years. So I will be able to do it for the next three years. It is a proud moment for me to go from the Speaker’s post to the CM. Yes, this government will have two Deputy Chief Ministers. The first Deputy Chief Minister will be Sudin Dhavalikar and the second will be Vijai Sardesai,” he said. Since the state is mourning for Parrikar, Sawant said he will not be accepting congratulatory messages and notes. “Do not even come to meet me. Even if you want to congratulate me after seven days, do not come with flowers,” he told well-wishers. 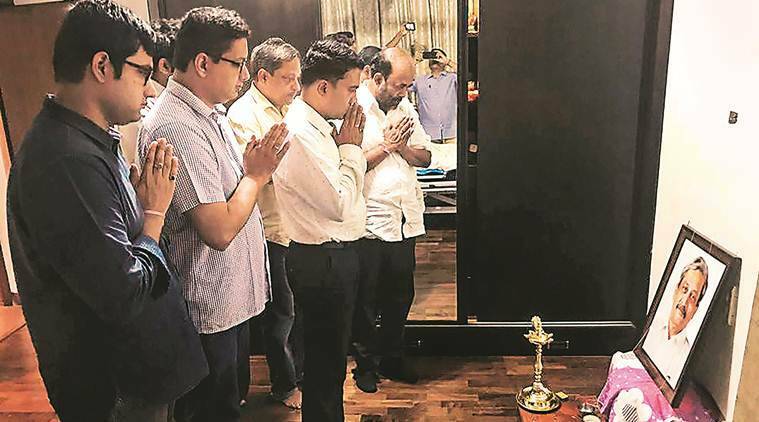 The House strength is down to 36 MLAs — with the deaths of Parrikar on Sunday and Francis D’Souza in February, and with two Congress members having resigned after they defected to BJP. The Congress has 14 MLAs, and there’s one of the NCP. The Sawant cabinet has 11 ministers and ahead of the floor test, seven berths have already been assigned to coalition partners and independents. Sawant has promised to distribute the portfolios within a week. Of the seven cabinet positions with allies, two have gone to independents, three to Goa Forward Party and two two MGP including Dhavalikar. The Congress, which also claims to have the numbers, called the midnight swearing-in of Sawant “unconstitutional”. It went to Raj Bhavan twice on Monday to “remind” Governor Mridula Sinha about its five letters staking claim to form the government.